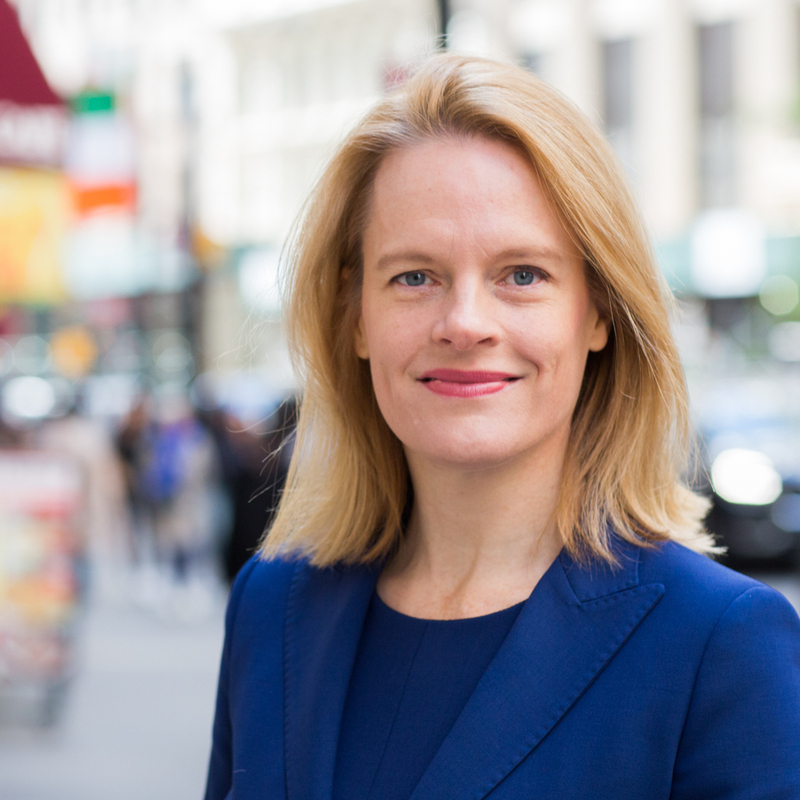 Antonia M. Apps is a partner in the New York office of Milbank and a member of the firm’s Litigation & Arbitration Group. Ms. Apps is a former federal prosecutor and nationally recognized trial attorney with experience in criminal and civil matters. She represents financial institutions, corporations, and executives in SEC and other regulatory enforcement proceedings, white-collar criminal investigations, complex commercial litigation and internal investigations. She also advises hedge funds on securities trading and compliance matters and teaches a course on white collar criminal law and procedure at Harvard Law School. Ms. Apps joined Milbank in 2014. Prior to joining Milbank, Ms. Apps served for more than seven years as an Assistant United States Attorney for the Southern District of New York, Criminal Division, where she led many of the government’s highest-profile securities fraud and insider trading cases, including the prosecution of the hedge fund S.A.C. Capital Advisors, L.P. As a member of the Securities and Commodities Fraud Task Force, she investigated and prosecuted a wide range of financial industry cases involving investment fraud, accounting fraud, broker-dealer fraud, market manipulation, fraud stemming from the sale of RMBS and CDOs, money laundering and obstruction. During her tenure, Ms. Apps prosecuted more than 20 insider trading defendants, and tried numerous securities fraud trials. Ms. Apps also argued several appeals in the Second Circuit, including the landmark case of U.S. v. Newman, for which she was the lead prosecutor at trial and on appeal. In 2014, she received the Executive Office of US Attorneys’ Director’s Award for Superior Performance. Prior to joining the United States Attorney’s Office, Ms. Apps was a partner at the Washington, DC, litigation and appellate firm Kellogg, Huber, Hansen, Todd, Evans & Figel, where she advised institutional and individual investors, investment advisors and corporate issuers on complex securities and commercial litigation matters. Earlier in her career, she was an associate at Fried, Frank, Harris, Shriver & Jacobson. Representation of American Realty Capital Properties, Inc. (now known as VEREIT, Inc.), a publicly listed Real Estate Investment Trust, in investigations by the US Department of Justice (DOJ), SEC and Massachusetts Securities Division, in federal securities class actions and in derivative actions in federal and state court arising from the company’s public disclosure of accounting irregularities and restatement of previously issued financial statements. Representation of a Special Committee of the Board of a health care provider in connection with DOJ and SEC investigations, and in connection with a shareholder derivative action. Conducted internal investigations for publicly traded company in connection with whistleblower allegations concerning corporate culture issues. Representation of a major financial institution in connection with a whistleblower investigation. Representation of a major financial institution in connection with a DOJ FIRREA investigation and parallel SEC investigation regarding asset backed securities. Representation of a major financial institution in connection with an insider trading investigation. Representations of hedge funds in connection with DOJ, SEC, and CFTC investigations relating to insider trading, valuation, and other trading issues. Representation of a senior executive in a DOJ health care and accounting fraud investigation. Representation of individuals in connection with DOJ antitrust investigations in various industries. Representation of individuals in connection with an investigation of the ISDAFIX benchmarks. Representation of a foreign company in connection with a DOJ money laundering investigation. Providing advice to public companies with respect to Foreign Corrupt Practices Act investigations. Representation of secured creditors in an out-of-court restructuring case at an evidentiary hearing in federal district court and in an appeal to the Second Circuit. In 2019, Ms. Apps was named to Crain’s New York Business’ “Notable Women in Law” list. The list recognizes the brightest and boldest legal minds of New York City based on both distinguished careers and exceptional civic and philanthropic activities. Lawdragon has named Ms. Apps in its list of 500 Leading Lawyers in America each year since 2014. Ms. Apps is also ranked in the Chambers USA listing for White-Collar Crime & Government Investigations, where clients and colleagues have highlighted her “brilliant legal mind,” adding “[s]he is capable of explaining complex legal concepts clearly to management and she is credible with regulators because she used to be one,” and described her as a “terrific trial lawyer” who “understands the difficulties of the world we live in” and gives “advice tailored to a practical approach.” In 2018, she was shortlisted for the Chambers USA Awards in the area of White Collar Crime for her notable achievements over the past 12 months including outstanding work, impressive strategic growth and excellence in client service. Ms. Apps has also been recognized by Legal 500 for Corporate Investigations and White-Collar Criminal Defense and named a Next Generation Lawyer by Legal 500 in 2017 and 2018. Ms. Apps is recognized by Superlawyers and in 2018 was listed as one of the Top Women Lawyers in Criminal Defense White Collar for the New York Metro area. She was additionally recognized in 2018 by Benchmark Litigation as a Future Star. Ms. Apps was profiled in Law360’s Trial Pro series and by Global Investigations Review in its April 2015 Women in Investigations feature. She is a member of the New York City Bar Association’s Committee on White Collar Criminal Law. Ms. Apps received her undergraduate degree in law from the University of Sydney (1990) and went on to earn a Bachelor of Civil Law at Oxford University (1993) and an LLM from Harvard Law School (1994). She served as a law clerk for the Hon. Fred I. Parker in the US Court of Appeals for the Second Circuit, and previously as a law clerk to the Hon. Tom W. Waddell, Chief Judge of the Equity Division in the New South Wales Supreme Court. Oxford University, Magdalen College, B.C.L. University of Sydney Law School, LL.B. The requested URL /esi/nav.html was not found on this server. The requested URL /esi/mobile-nav.html was not found on this server. The requested URL /esi/search-bar.html was not found on this server.